Sir Elton fondly remembers Freddie Mercury – CHUBIBO! “Freddie didn’t announce publicly that he had AIDS until the day before he died in 1991. Although he was flamboyant onstage — an electric front man on par with Bowie and Jagger — he was an intensely private man offstage. 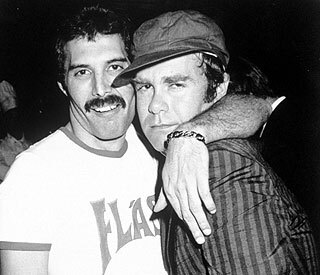 But Freddie told me he had AIDS soon after he was diagnosed in 1987. I was devastated. I’d seen what the disease had done to so many of my other friends. I knew exactly what it was going to do to Freddie. As did he. He knew death, agonizing death, was coming. But Freddie was incredibly courageous. He kept up appearances, he kept performing with Queen, and he kept being the funny, outrageous, and profoundly generous person he had always been. Previous postKapakanan ng eroplano – inuna?